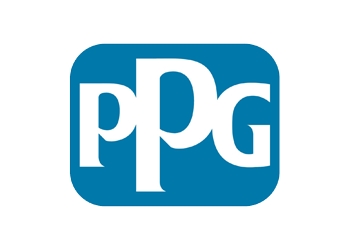 PPG is the leading global supplier of automotive coatings and is widely regarded as the coatings supplier of choice for both OEM’s and bodyshops. With premium performance collision brands including PPG, NEXA AUTOCOLOR® and MAXMEYER®, the UK & Ireland Refinish business prides itself on delivering excellence in product innovation and support to ensure bodyshop success. Matching experience in the supply of coatings, PPG Refinish UK is proud to own BROWN BROTHERS® Distribution. For over 125 years, Brown Brothers Distribution has supplied the crash repair industry with high quality paint and dry goods solutions that aim to drive productivity and reduce costs for customers. PPG also deliver bodyshop and claims management IT systems, Advance™ and ActiveWeb from PINETREE CONSULTING™. These enable bodyshops to increase throughput and efficiency through an array of tools that track, record, and analyse bodyshop data. Whatever the challenge, PPG has the specialist knowledge and resources to make it happen.